Make more money through technology. Is your company already well established in the business of buying, selling and/or pawning gold, silver, platinum and other precious metals? Are you thinking about opening more stores and expanding your operation? Maybe you are just starting out and considering getting into the business of retail gold buying? 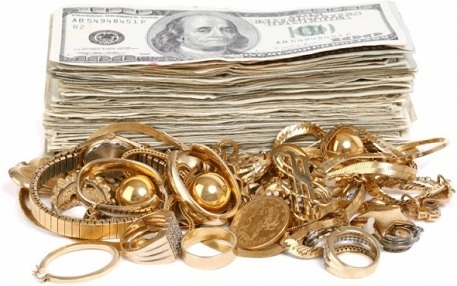 Gold and silver prices are high and consumers need cash. There's a lot of money to be made, but mistakes or an inefficient process can cut deeply into your profits. You need help scaling up your business, applying your policies consistently, and ensuring every store is making intelligent buying decisions to make you the most profit possible. Prediction Software Inc., a leader in the logistics and supply chain industry brings you the gold and scrap jewelry buying, selling and pawning system needed to profitably expand your operations and setup additional storefronts for buying, selling or pawning gold, silver, platinum and other precious metals. Our unique software, "The Gold Tracker", gives you a complete tool to speed-up, control and manage the point of sale with professional support to buy, sell & pawn any kind of merchandise. It provides operational controls, quick retail transactions, monitoring and management capabilities needed for large, multi-store businesses. 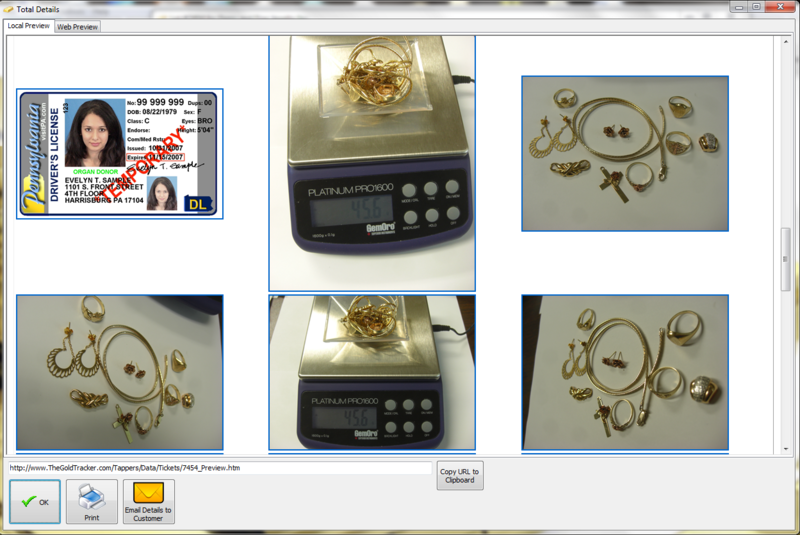 The Gold Tracker is a complete system for bullion traders, refiners, pawn shops, coin dealers, second hand dealers and scrap metal recyclers. The Gold Tracker is terrific for smaller start-up businesses too. 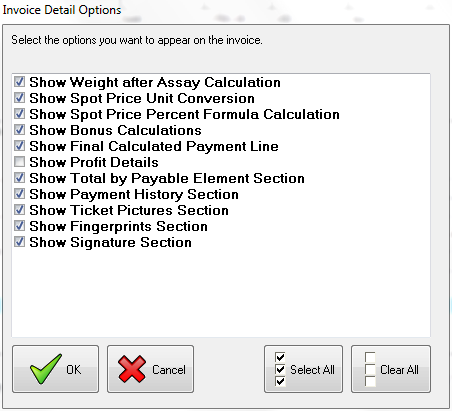 Our software automates spot price downloads and give you the pricing intelligence to ensure you always use the spot price that is most favorable to your business. By applying your own custom pricing and settlement formulas The Gold Tracker reduces mistakes and ensures consistency across all your stores. 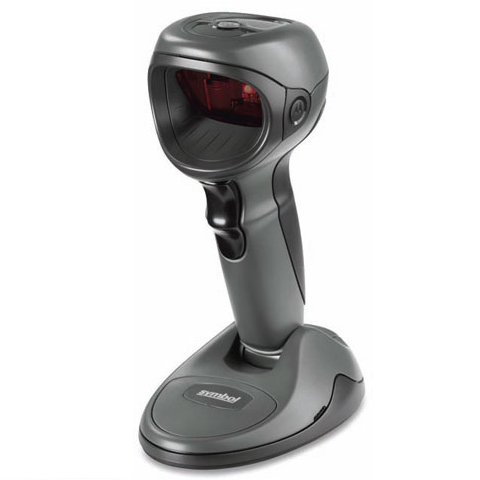 Go paperless and capture merchandise photos, digital fingerprints, electronic signatures and scan I.D. barcodes with ease. Use the integrated reporting to manage profits, study and compare trends over time, by store, by salesperson, by customer and product type. Monitor and audit your store activity and employee transactions in real-time to prevent employee theft. Track your assets, cash, stores and inventory. Analyze key performance and financial indicators. Integrate with and export data to QuickBooks desktop edition, LeadsOnline, Business Watch International BWI RAPID, Finder PawnWeb and other accounting and legal compliance systems. We even offer on-site software installation, training, and optional hardware and computer equipment to make it easy to get started. Start your membership now with a no-risk FREE trial of "The Gold Tracker" software. 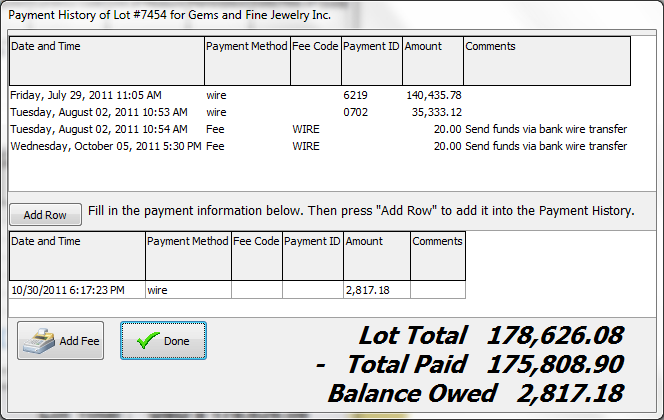 Accelerate your gold buying business now with our great software features! 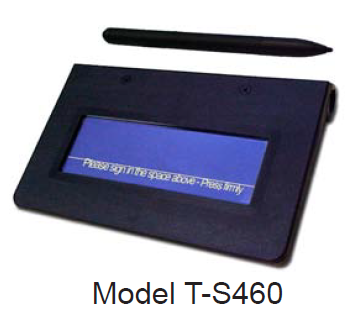 Support your requirements with our complete point of sale solution. Ticket types include: Buy, Sell, Pawn, Inter-branch Transfer, Consignment, Refine, Result, Repair, Deposit & Withdrawal. Create employee permission groups to control unauthorized access. Then include staff members into your groups controlling access to menus, screens and features as you define. Don't use stale spot prices. 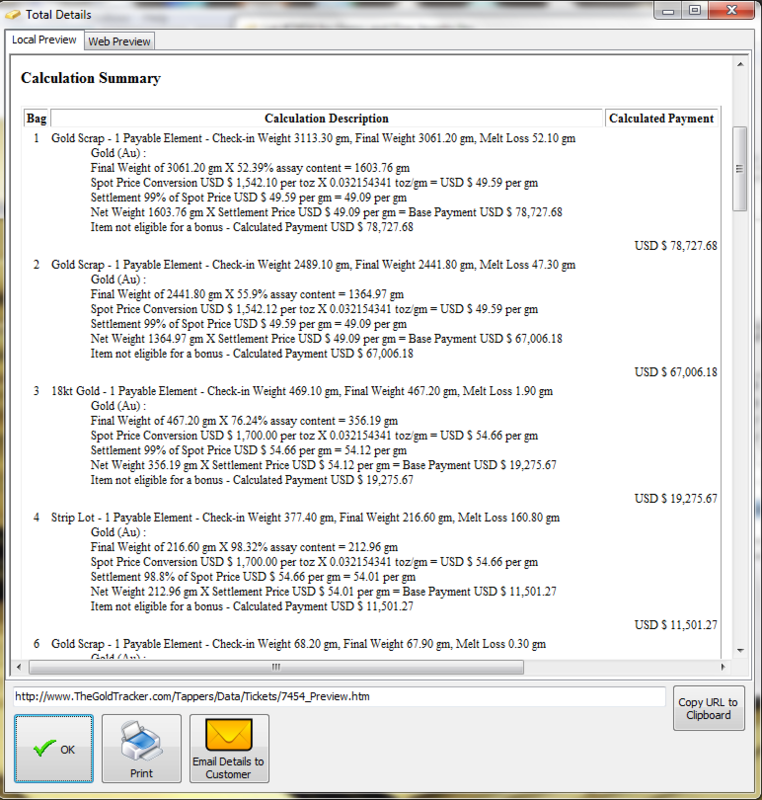 Our software gives you the tool to ensures you can always use the spot price that is most favorable to your gold business. The gold tracker is flexible and can use your payout formulas and bonus percentages. 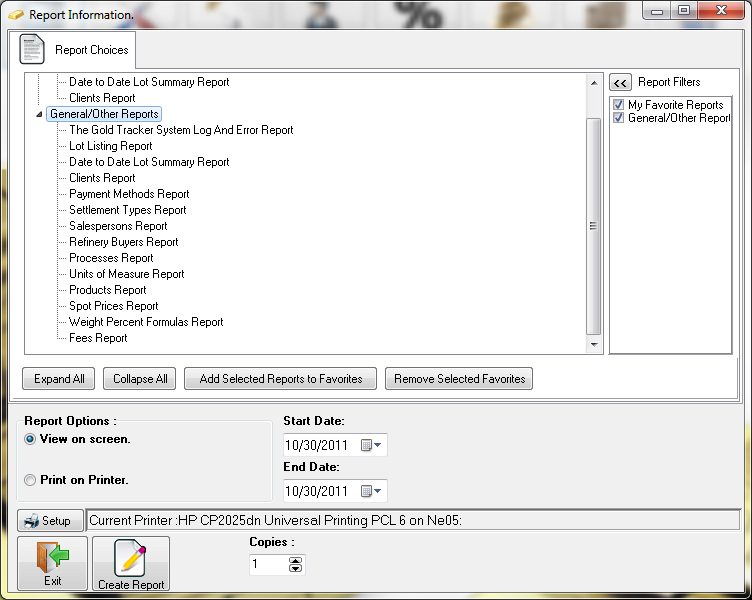 Configure settlement percentages by product, by customer; and override when needed. 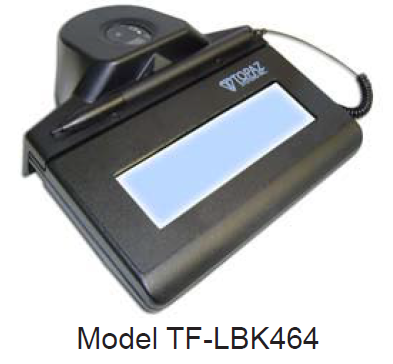 Connect your digital camera, webcam and scanner to quickly take snapshots of ID cards, customers and merchandise. Associate images with merchandise line item detail. Paperlessly obtain the legal signature of the seller. 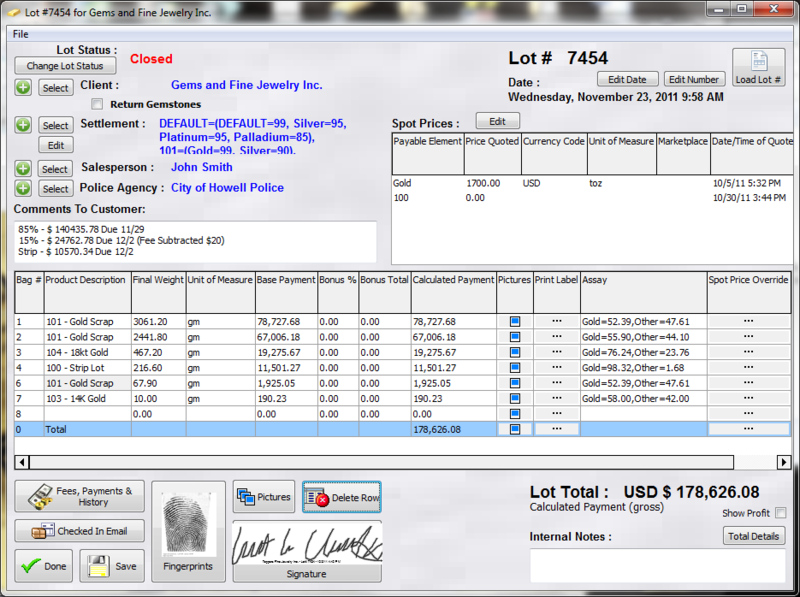 Automatically annotate the signature files with the seller name, lot ticket number and date/time stamp. 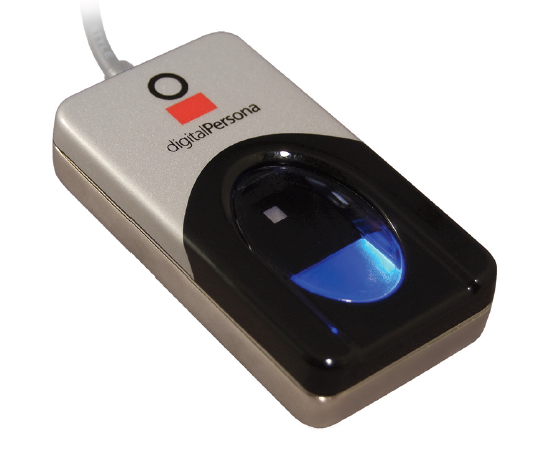 Scan the seller's fingerprint(s) and save them digitally. As needed, help assist authorities in stopping fraud. 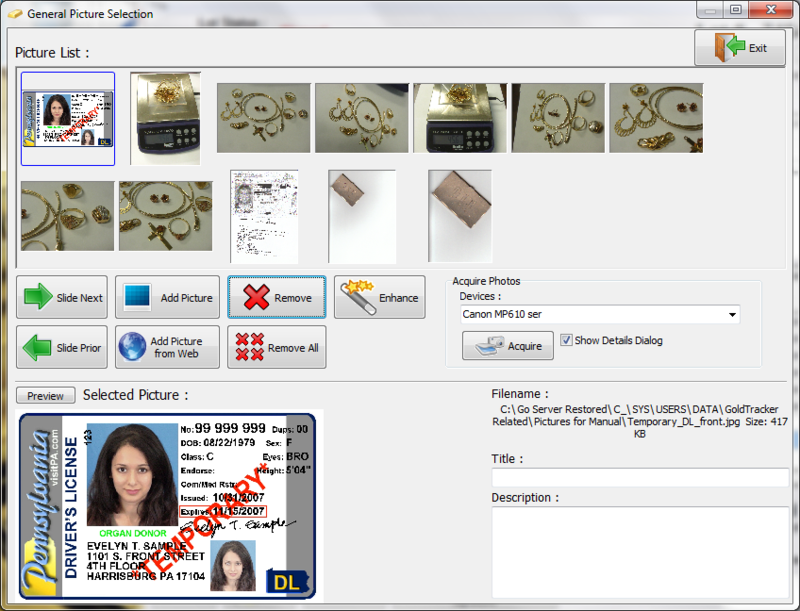 Modern state ID and driver's license cards contain 1D and 2D barcodes enabling you to quickly scan, enter, and verify critical seller age, name and address data instantly. Print ID numbers on merchandise tags, bag labels, barbell style jewelry & price labels. 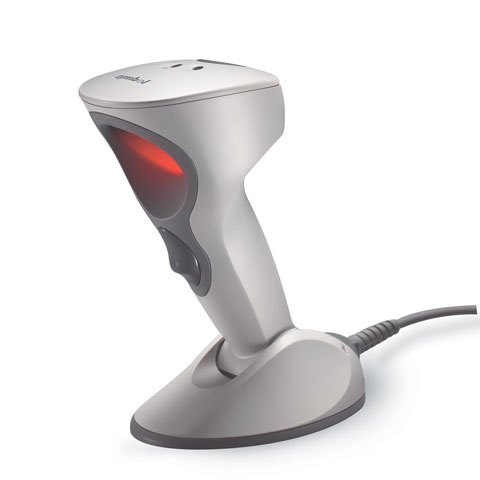 Instantly scan items to sell or transfer to other locations. Always know the history, location & value of your total inventory. Maintain costs and inventory control while quickly spliting up jewelry pieces such as rings with diamonds so they can be sold separately or combine multiple inventory items to sell as a group. 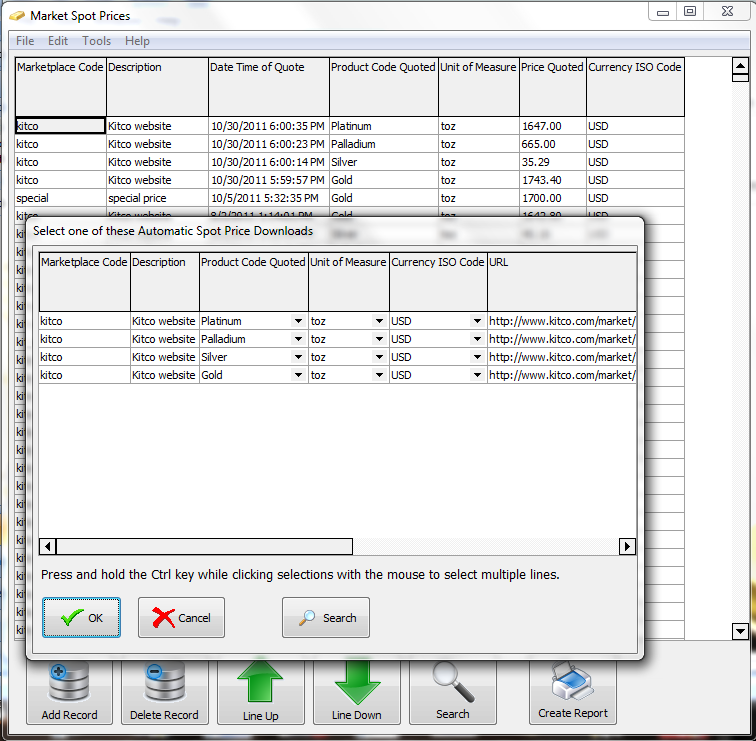 Reconcile cash register drawers to eliminate discrepancies. Make deposits, withdrawals, start-of-day & end-of-day counts with over and short analysis. 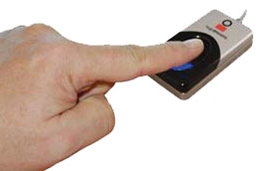 With our built-in time clock, there is no need to have a separate time clock system. Hourly employees clock-in or clock-out and full reporting of hours worked is provided. Eliminate double entry by exporting product items, vendors, customers, invoices, payments & checks to the desktop edition of Intuit QuickBooks. Your accountant will thank you. Eliminate double entry while complying with law enforcement reporting requirements. Selectively export ticket data to Leads Online, Business Watch International BWI RAPID, Finder PawnWeb and others. 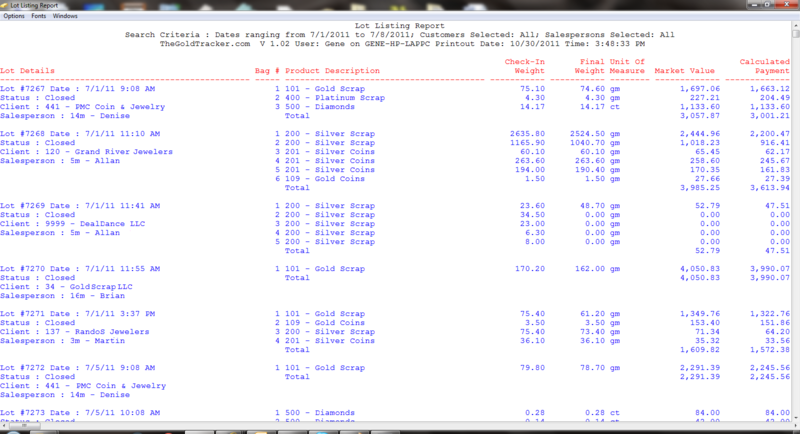 Organize the products you buy and pre-configure various metal purities and karat percentages. Use supplimental descriptions to add more detail about the specific items purchased. Built-in tablular reports and charts let management compare and study data organized by store locations, sales people, product type, customer and date. Know at all times during the day and week how much gold you have. Our software helps you comply with federal and state government licensing requirements. No more wasting valuable time re-typing your transactional data into their compliance websites. Upload your data automatically. As you business grows to multiple locations, consistently enforce your business policies and promote standardization across all your stores. Our software lets you see and manage everything centrally. Thanks again for the excellent service received from you,Highly Recommended. Excellent value for money. Speedy delivery. Thank you. 527 E. Grand River Ave.
© 2015 Prediction Software Inc. All rights reserved. The Gold Tracker is a trade name of Prediction Software Inc.